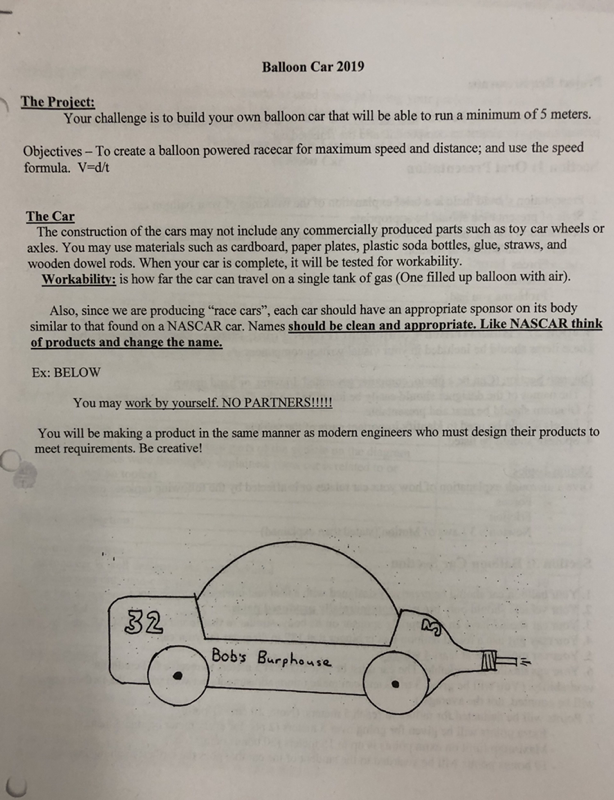 Students compare their Mars prototypes before tieing off the final. 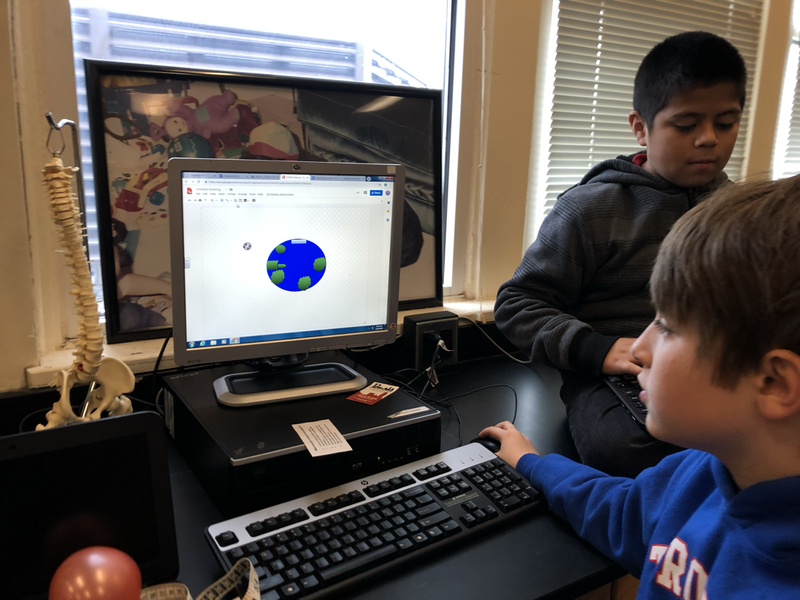 6th grade created planets to scale in a lesson yesterday which perfectly illustrates the active learning credo. 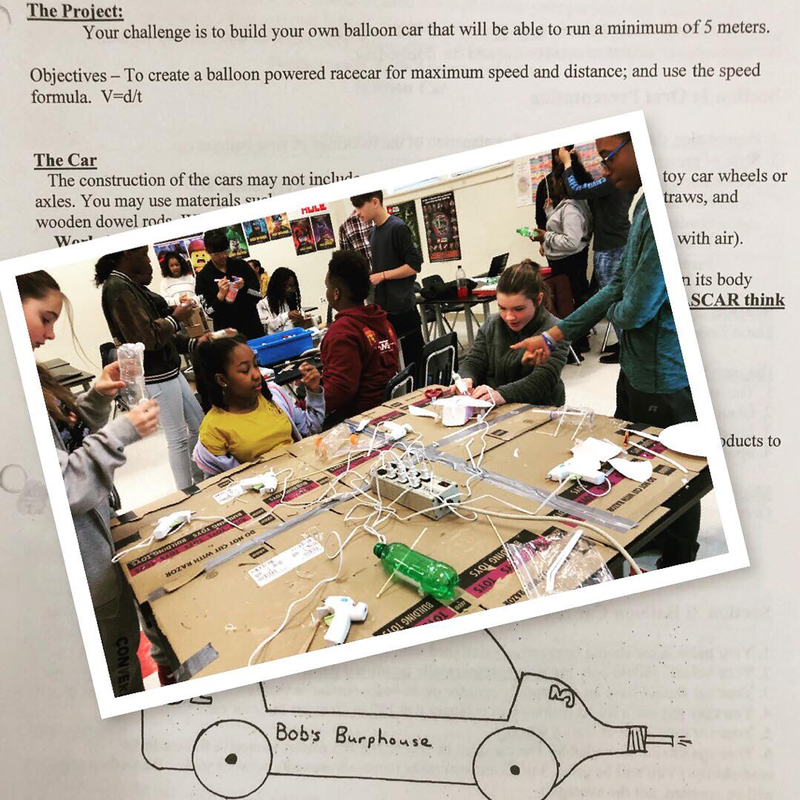 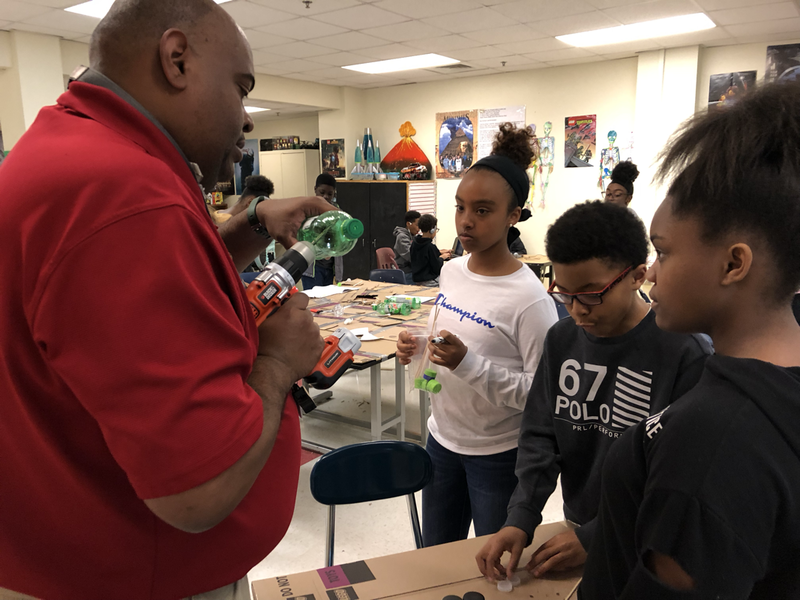 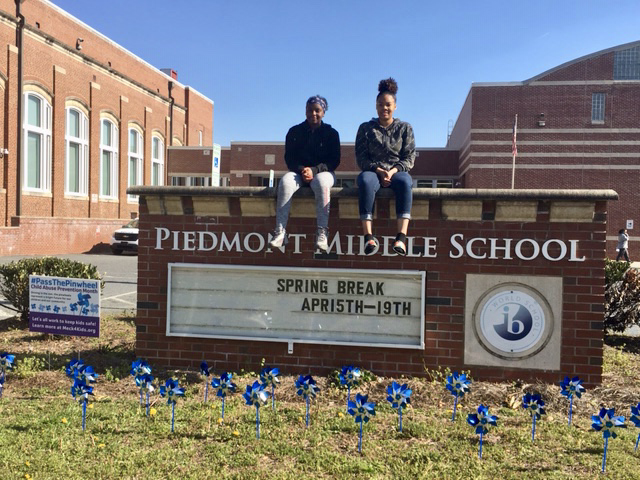 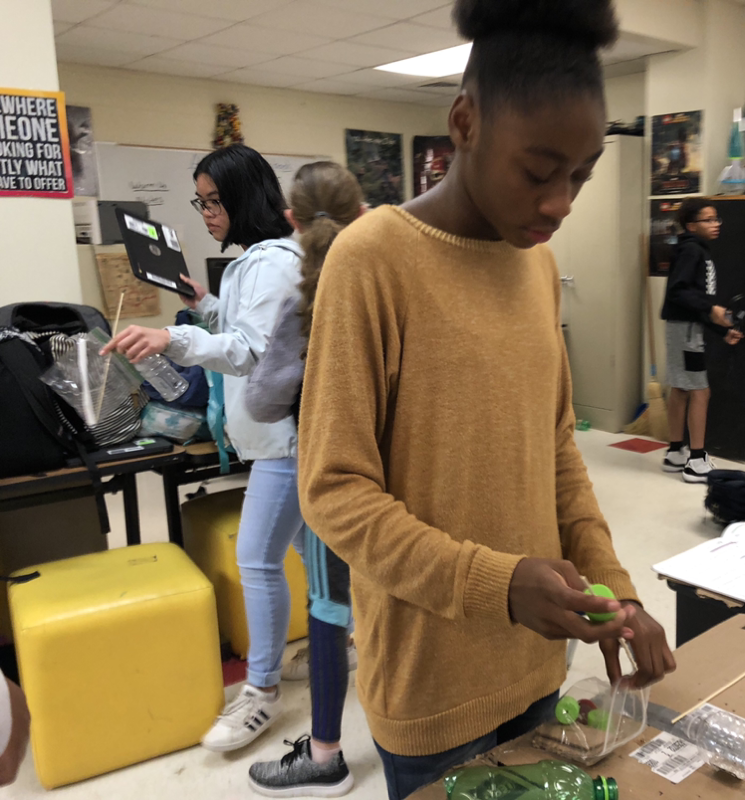 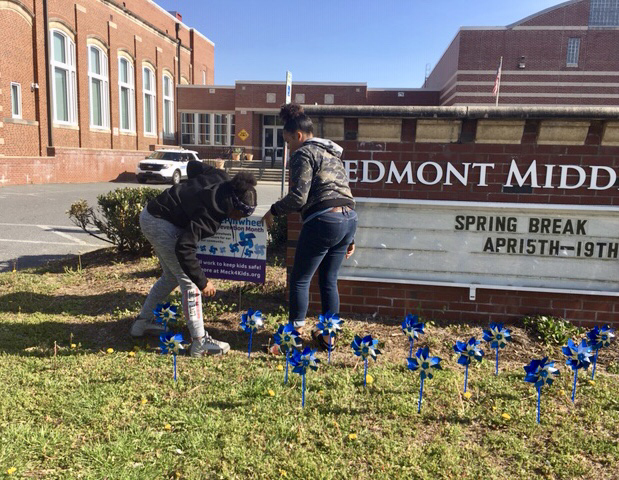 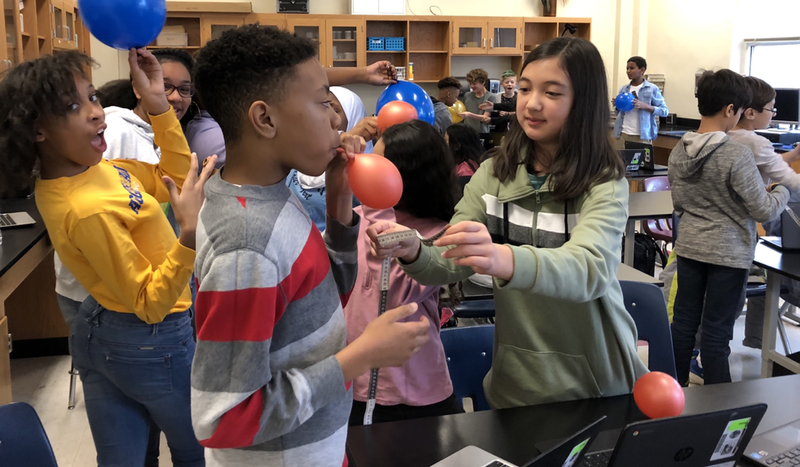 Instead of doing a worksheet or reading in a book alone, students used an activity from NASA to help them understand planetary size and scale. 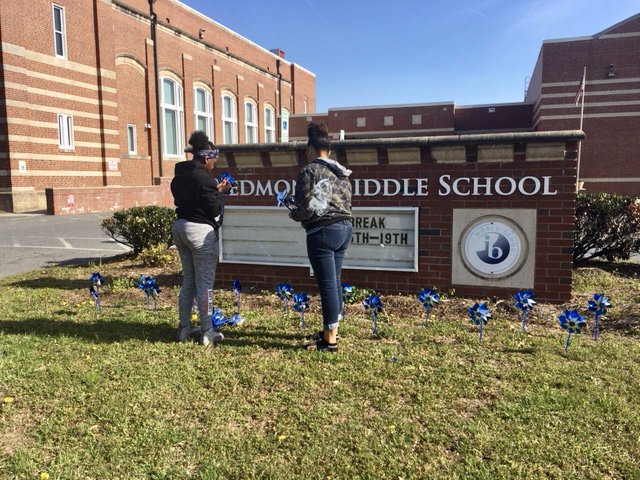 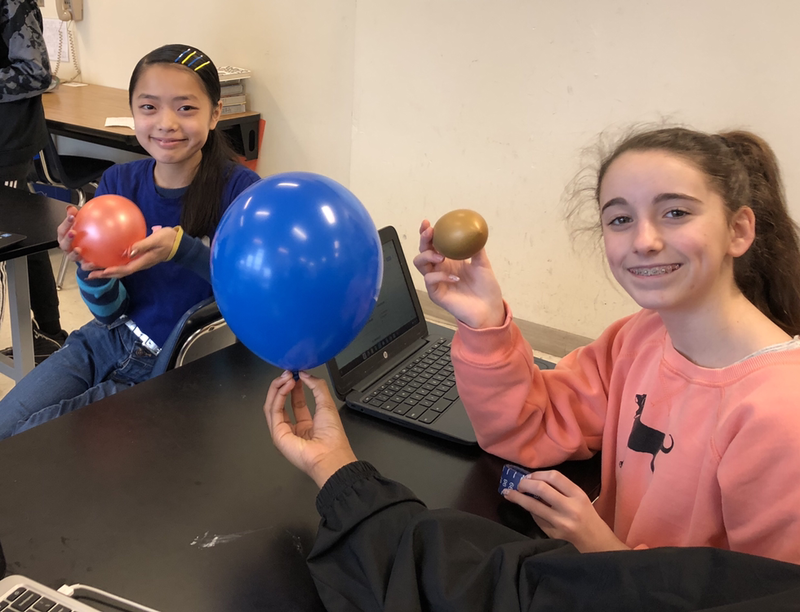 Students studied the Moon Earth and Mars and then, using measurement tools and balloons, created models of each to scale. 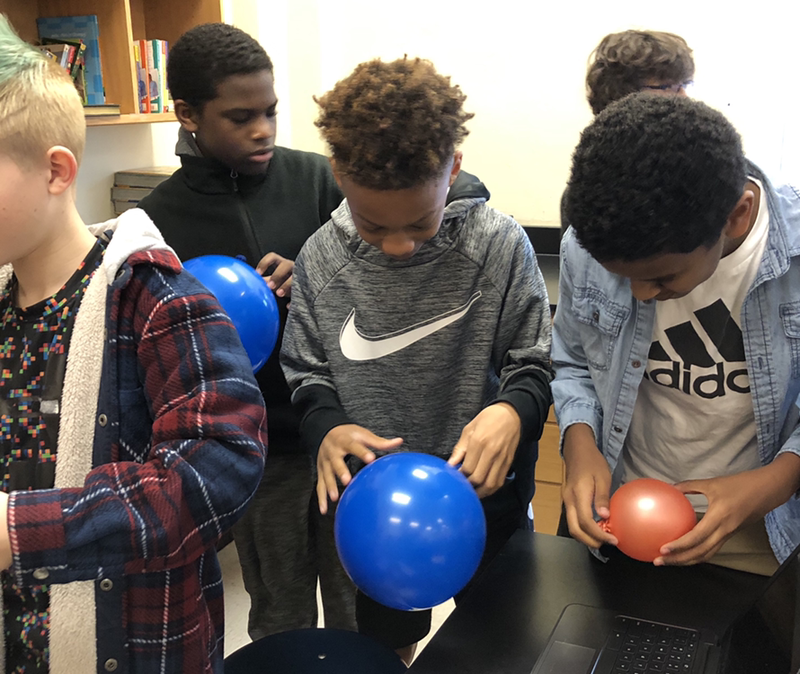 Groups planned and measured, discussed and compared the sizes of their gold moons, blue earths and red mars models. 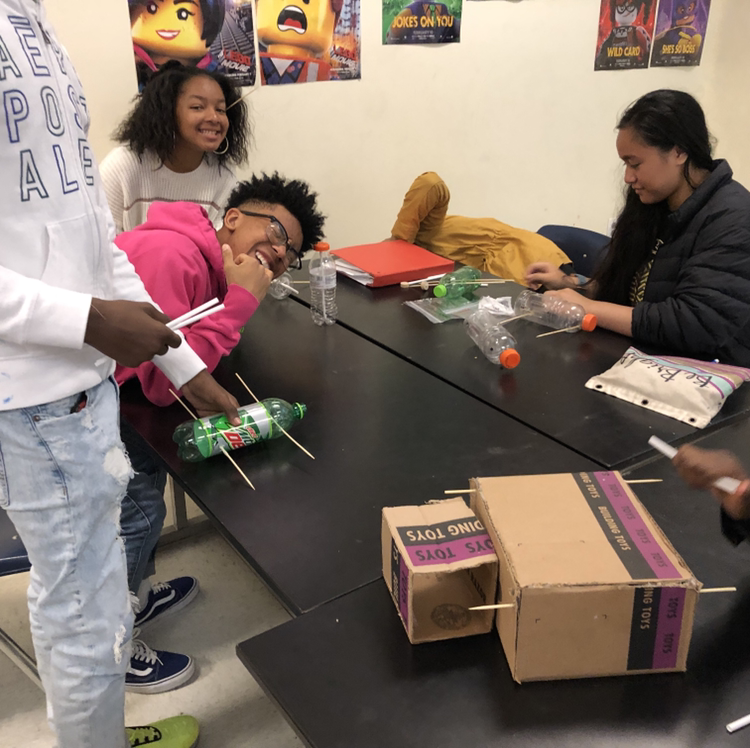 Once they were satisfied that they had achieved proper scale, they took their models to the hallway where they measure distance accurately scaled between earth and moon. 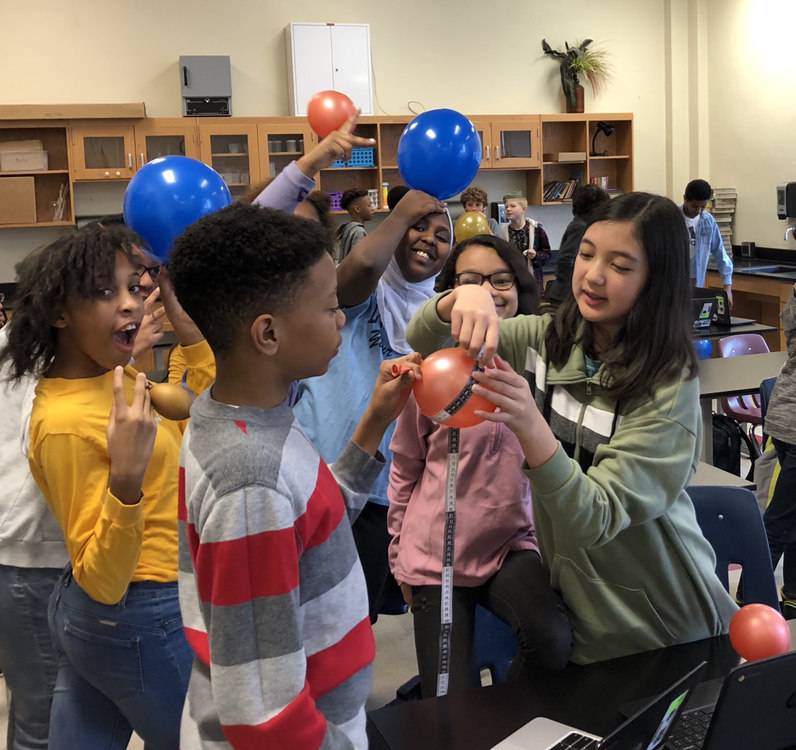 Their teachers explained that scaling Mars’ distance wouldn’t fit in the hallway as they used meter sticks to walk out the distance. 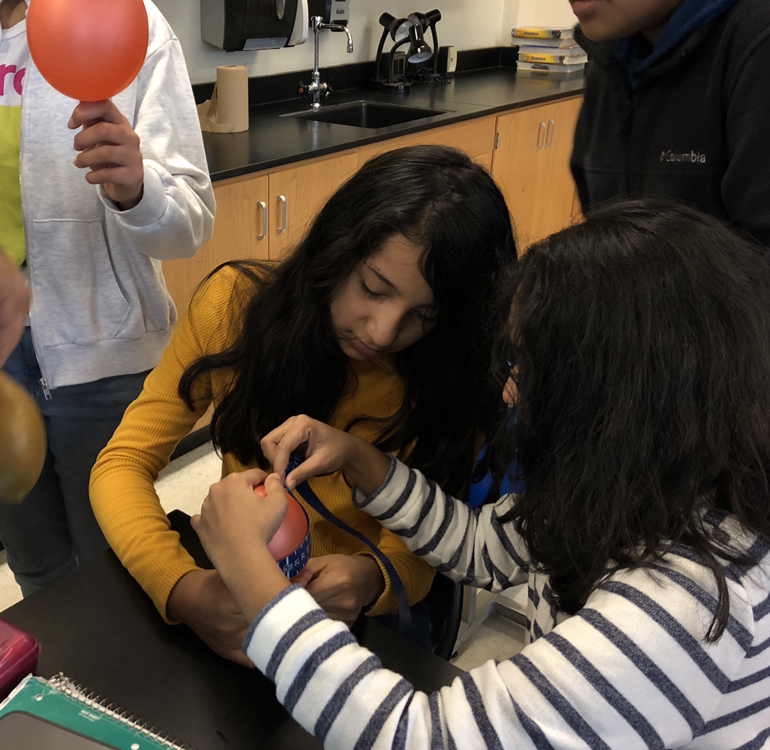 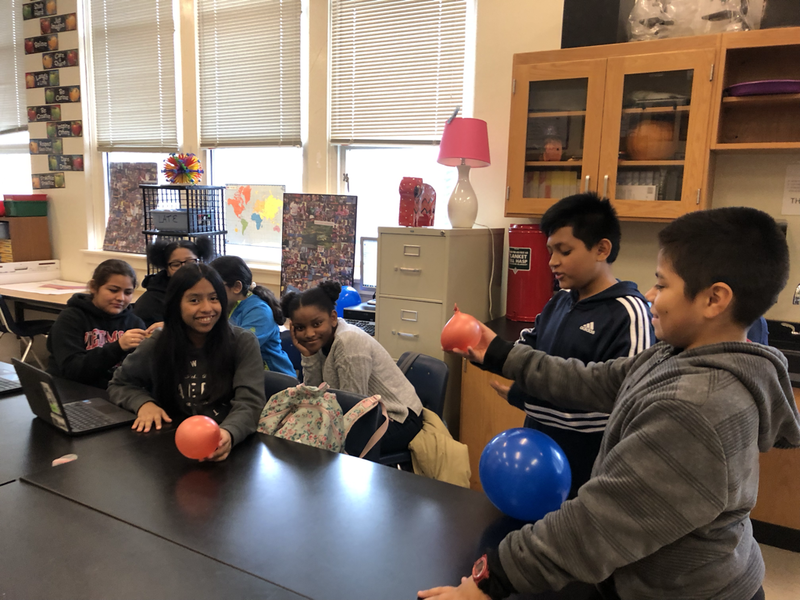 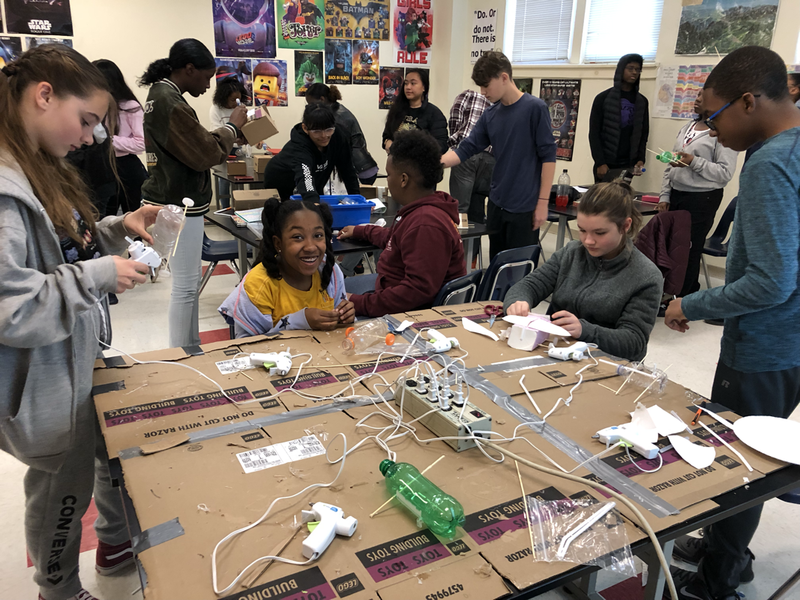 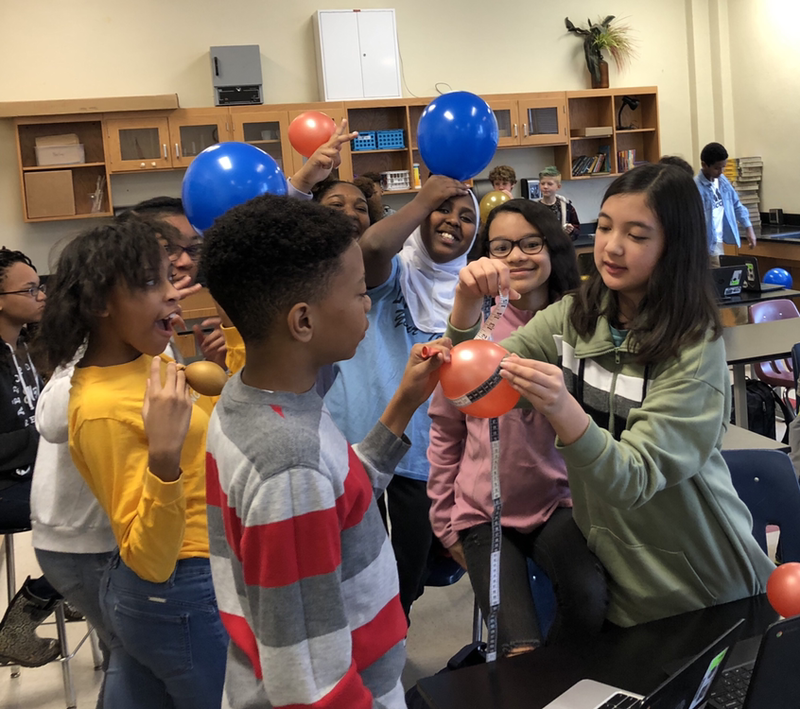 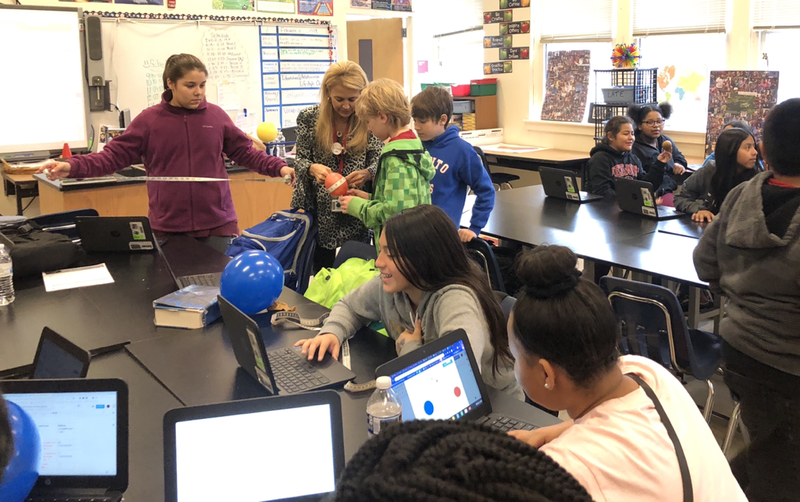 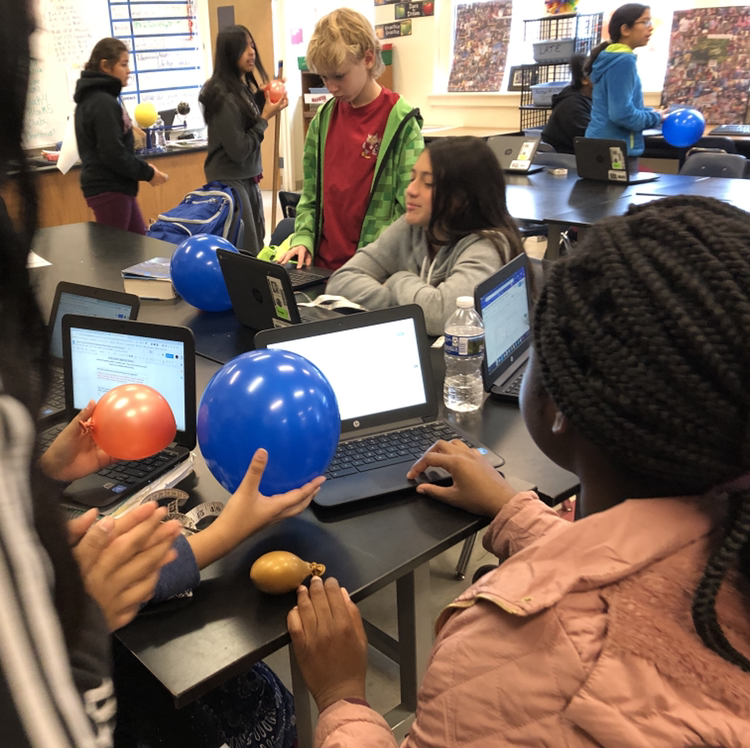 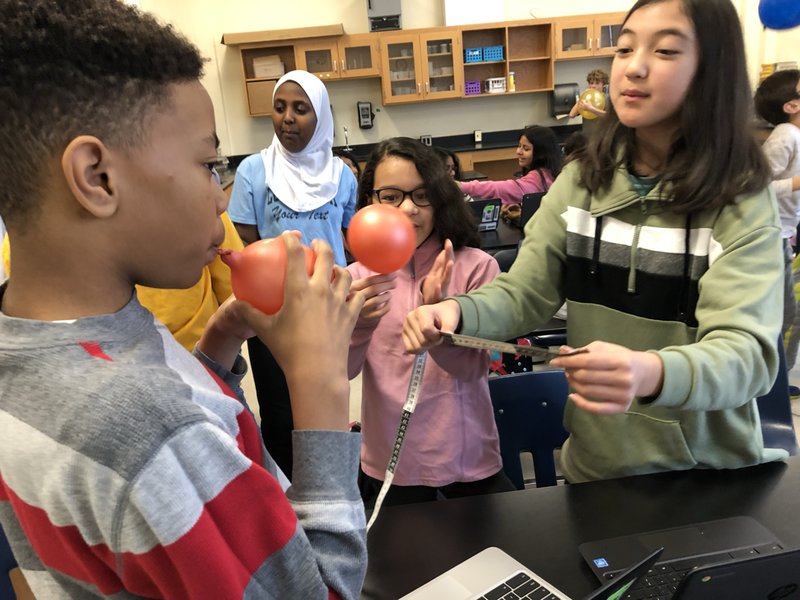 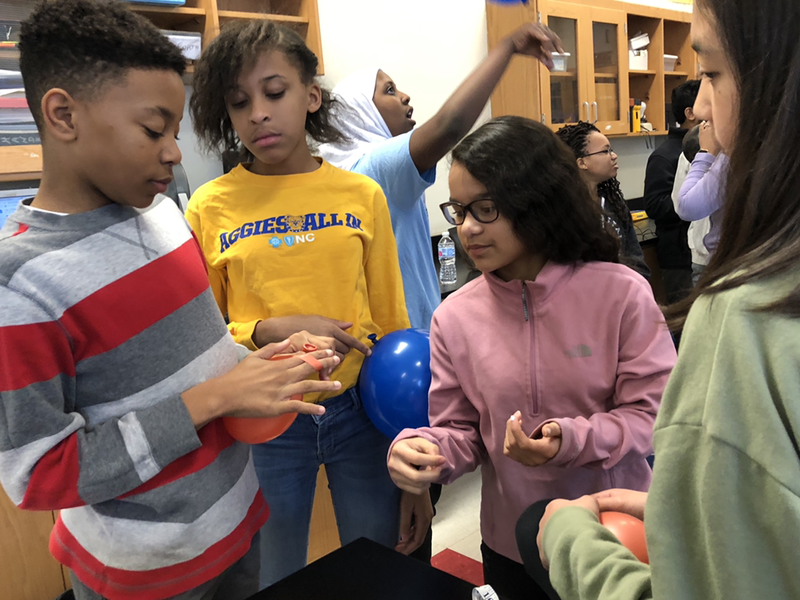 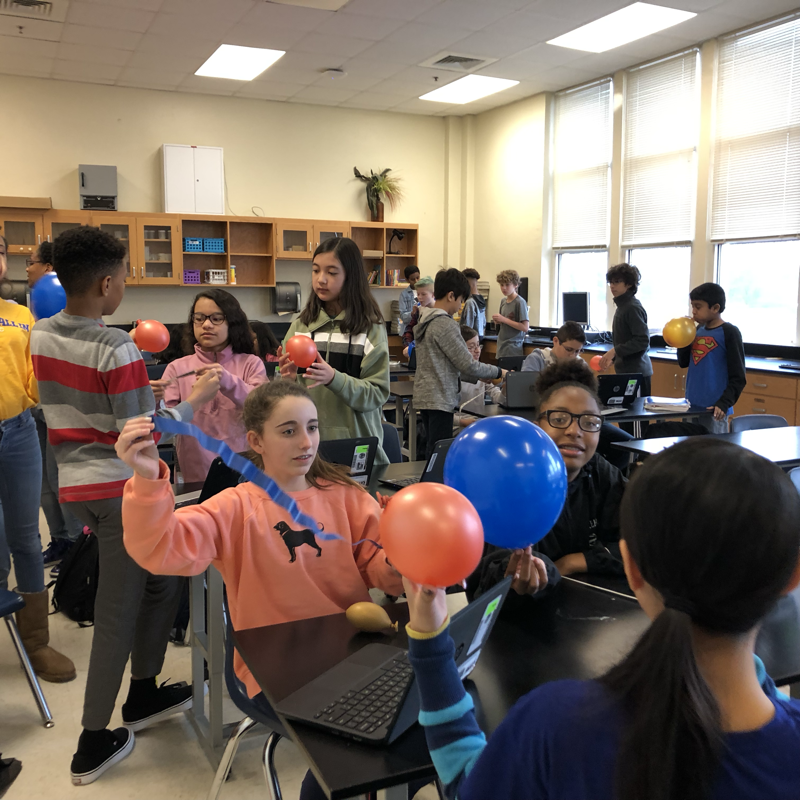 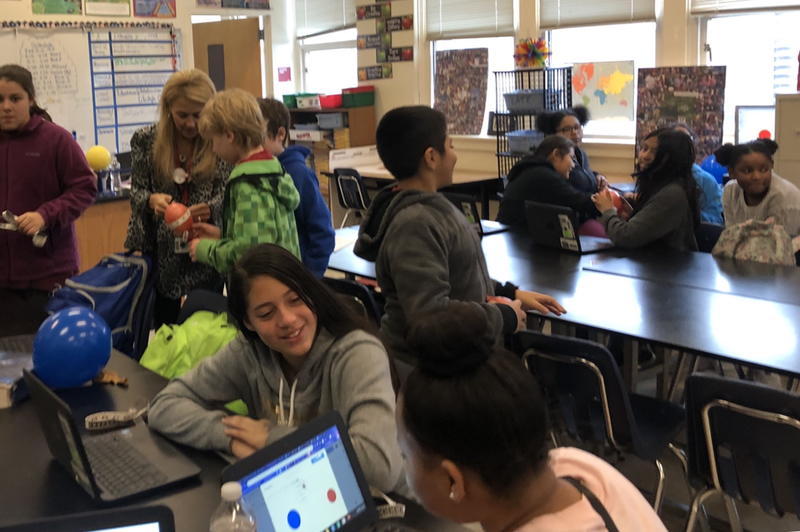 Anytime you give a 6th grader, balloons you’re going to have some joy but what was wonderful about this NASA lesson was the way the abundant smiles translated into learning and understanding distance and scale and space more completely.